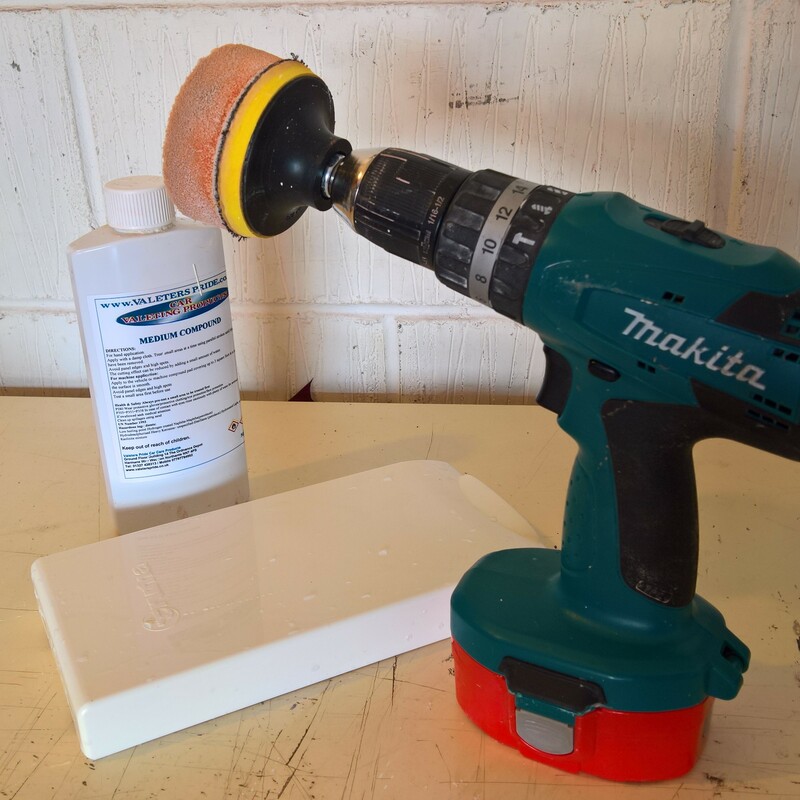 A quick and simple way to white up those yellowing plastic covers (water filler, ehu flap and water heater cover, etc) on your ageing caravan or motorhome. The cutting compound and polishing head for a drill all available on eBay. Easier if you can remove the cover and clean then on a bench – if not then mask any areas not to be “intensely” polished on any paint work. 2 or 3 minutes of polishing brings the covers up to nearly new whiteness.